you can enter the park from north, south, east and west entrances. this photo was taken off of the hwy 140 entrance on the west end. 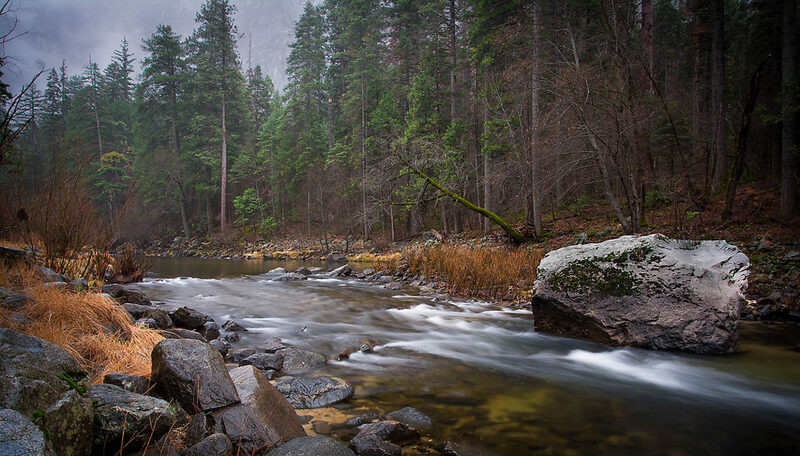 the merced river winding through the valley floor of yosemite national park in what was a very dry winter.